Contemplate the color green. It has lots of different meanings, both pleasant and not. You can make it become anything you want it to be. 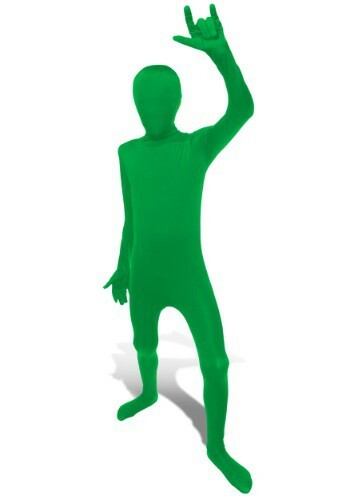 When you wear this Child Green Morphsuit, YOU can become anything green. Be the color by itself, or use the morphsuit as the base for a more elaborate costume. You could be a green toy soldier, with a helmet, boots and a toy weapon. You could stand against a green background and become invisible! Yes, the possibilities are limitless. And contrary to the lament of a certain famous frog, it IS easy to be green!